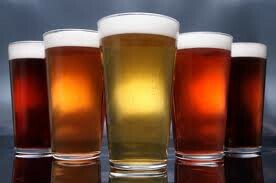 From spring to summer, from Maple Pecan Porter to Blueberry Hill Lager. 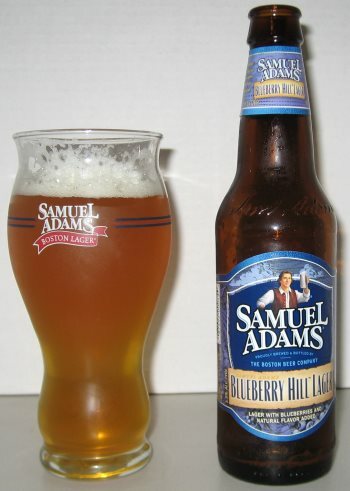 This new addition to the Samuel Adams Beers of Summer variety pack is an unfiltered lager brewed with, not surprisingly, blueberries. A lot of blueberries, it would seem. While the beer is not blue, thankfully, the berries are not as subtle in the other characteristics of this brew. The nose is of blueberries and tangy yeast. The middle is dominated by sweet blueberries. The finish is more…Tart blueberries. The quality is fine, and if you hate beer but enjoy fruit juice, this may be a good choice of drink for you. It is however, a little too much of a one note song for my taste. This entry was posted in Reviews on May 3, 2013 by Xander.